Why does Sony keep making so many flagship phones? 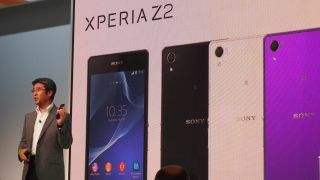 At the launch of Sony's Xperia Z2, Z2 Tablet and M2 this morning, head of Sony Mobile Kunimasa Suzuki was keen to stress that the Z2 meant that the company had taken the strides made with the Z1 and improved it. "It was the best of Sony and we've made it even better," he said. But haven't we heard this before? Sony has now announced a new flagship handset at every key tech show since January 2013 when we saw the arrival of the Xperia Z at CES 2013 in Las Vegas. Eight months later in September 2013 the Xperia Z1 was announced at IFA in Berlin - and now the Xperia Z2 has arrived (after the Z1 Compact, of course). That's quite a release cadence and beats the yearly cycles seemingly operated by Samsung (a new Galaxy each Spring) and Apple (a new iPhone every Autumn). The genesis of this can be traced back a few years since Sony decided to get serious about smartphones and buy out Ericsson's share in Sony Ericsson. The problem was that its handsets weren't cutting it against the iPhone and Samsung's Galaxy range. Then Sony boss Sir Howard Stringer called the move "the beginning of something which I think is quite magical…we can more rapidly and widely offer [phones], tablets and televisions that seamlessly connect with one another". It hoped to achieve this not only through a combination of services, but crucially by leveraging other Sony technologies. Even just over a year ago Sony was having to play serious catch-up. Its Sony Xperia S and Xperia T weren't selling in the volume it wanted. It was falling behind. With the Z Series Sony has gradually been clawing things back to the point that with the Z2 it has a phone designed to match – and in some respects better - what Samsung, LG and others have to offer. This morning Sony CEO Kaz Hirai stepped up to the podium. He didn't talk for long, but his presence was clearly intended to force home the point that Sony is serious about mobile. Hirai outlined how Sony's offering should be all about its "marriage of products and content" and that its new handsets are "built on the shoulders of 60 years of design and engineering [featuring] technology from across Sony". The 'best of Sony' tagline is here to stay. The Sony CEO also called the mobile industry "highly competitive but fascinating and extremely exciting" before stating that Kunimasa Suzuki's Sony Mobile team will "continue to drive Sony Mobile to break new ground and he'll continue to do so with the full support of everyone – everyone – from across the worldwide Sony group as well." And that means more flagship phones will follow. How long before the Z3?